Reminiscent of the tables that would have been built by American pioneers and the frugal farmers of our American past, Olde Good Things farm tables are sturdy in construction and forgiving in makeup. The farm table is an economical table option for active families and frequent entertainers alike. 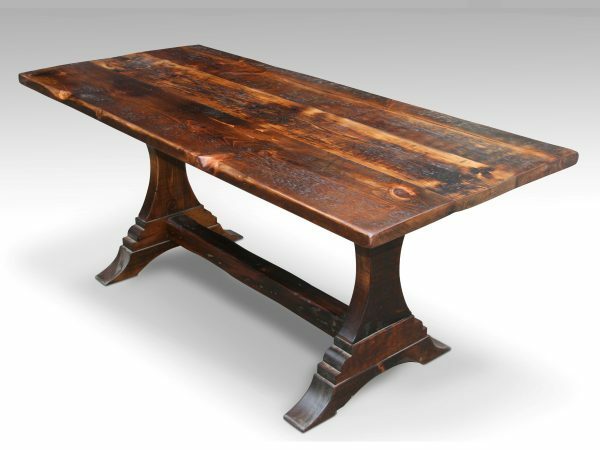 Nicks and scratches to the surface add to the character and design aesthetic of the rustic farm tables so you can have a beautiful piece of antique furniture and not worry about damaging it. Salvaged wood before the turn of the 20th century experienced less pollution, chemical absorption and drastic weather changes. Thus, the wood in an antique farm table contains a tighter grain and is stronger and more durable. Mass-grown trees suffer a loss of strength in that they are planted closer together and therefore must fight for nutrients and sunlight. Plus, since these modern reclamations are made of sustainable wood, this makes Olde Good Things’ farmhouse dining tables an environmentally sound decision. 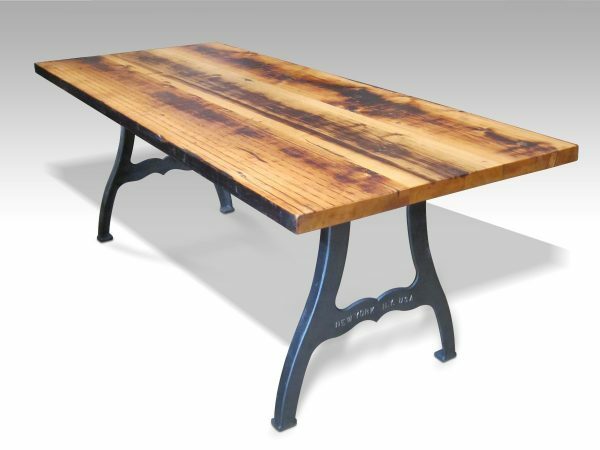 Every OGT farm table is made by using carefully salvaged wood from rundown barns, old industrial spaces, and historic sites throughout the country. We keep as much of our process in the United States as possible – from sourcing raw materials and antiques, to constructing our custom furniture and Altered Antiques line, to our full staff of over 100 people. This is mindfully done to promote local and countrywide economic stimulus, and helps to cut down on delivery distance. Shortened delivery distances and planned/limited bulk deliveries help to cut down on fuels used and keeps us in line with our green goals. Plus, this also keeps the cost of delivery to our customers to a minimum. 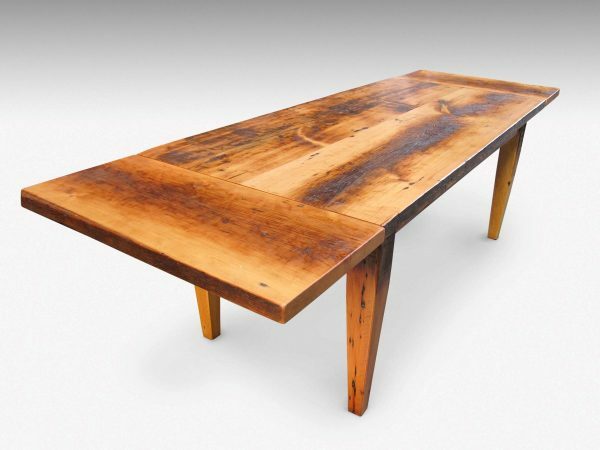 Every farm dining table is finished with either conversion varnish or oil varnish (a mixture of marine varnish, tung oil and mineral spirits). 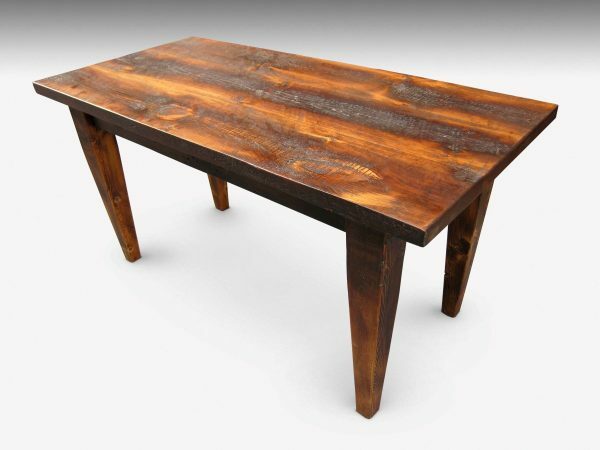 Our table finishes are more environmentally safe for you and your family and do just as well to protect your table from water damage or annoying stains from beverages. Every farm table made at OGT possesses an interesting historical link and material-specific character that cannot be found in a mass-produced piece of furniture. Our craftsmen pay homage to our ever-growing collection of reclaimed wood by displaying its raw grain in its natural form for pieces both large and small. Transparency in design and appreciation of the material connects the timeless quality of the wood and timeless design with custom legs in a choice of varying materials. OGT offers a multitude of leg options, and opens the design space for a table to fit a multitude of design aesthetics. 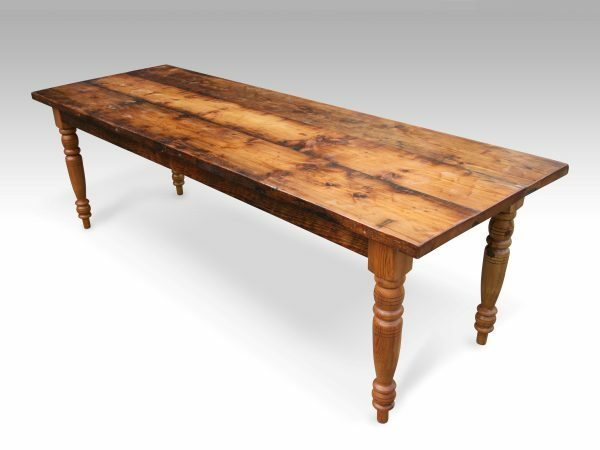 We even offer a type of walnut dining table in the farmhouse style. Table colors include brown, white, grey, and more. From a country style rustic farmhouse table with tapered or straight wooden legs, to our urban farm table with cast iron machine legs bringing in a touch of the industrial revolution mixed with down home country design. OGT custom farmhouse tables are constructed by our dedicated team in our national warehouse in Pennsylvania. Our team of craftsmen that have been with the Olde Good Family for almost two decades; they understand the process inside and out, ensuring a quality product. 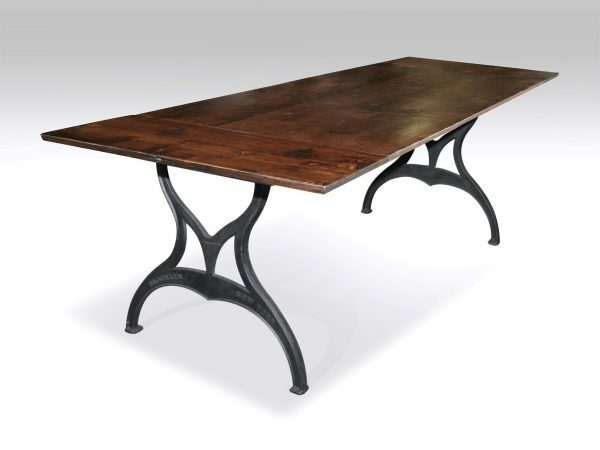 Discuss your needs with one of our table experts for a one of a kind heirloom quality table to fit your specific needs.